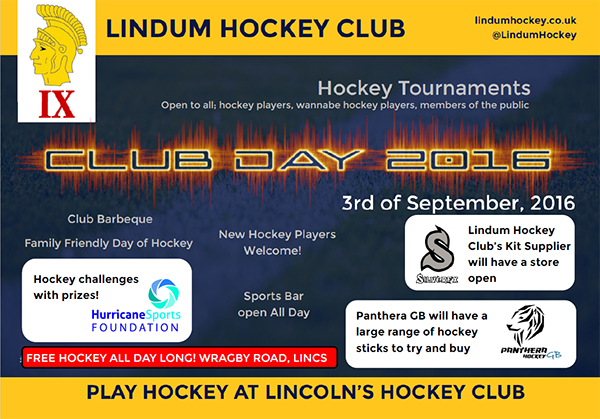 We are very excited to announce that Lindum Hockey Club’s Club Day will be taking place on Saturday the 3rd of September! As a way to kick-off the season, the day will begin with the first Junior Training session of the new season, followed by a full-club tournament, a Ladies 1st team pre-season friendly fixture to watch and support and then a barbeque and, of course, the bar! Apart from food and drink the whole day is free for anyone and everyone to come and join in. 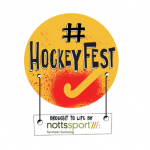 Find out what hockey in Lincoln is all about! 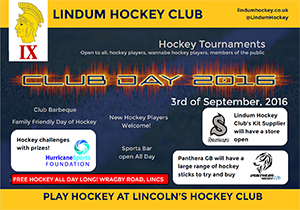 Lindum Hockey Club’s Club Day is open to all, whether an existing club member, a newcomer or member of the public. There will also be representatives from Hurricane Sports Foundation, providing hockey challenges and prizes, while Panthera Hockey and SilverFX will have stores open for you to try and buy their wares!